Mercator is a family-run, UK based independent freight forwarder, offering highly effective import and export sea, road and air freight forwarding services around the world. Based in the UK, we are a founding member of MarcoPoloLine, an international network of freight forwarder partner agents, making us well placed to handle shipping consignments across the globe. Mercator was founded in 1991 by our MD, Paul, who recognised the industry’s trend towards specialist freight forwarding services at that time. By this point, Paul had already spent the best part of twenty years of his career in the shipping industry. Having worked for P&O as a ‘bunker broker’ buying fuel for the ships, and then onto working as an import and export account manager in Morrison Pollofen & Blair, and then in Abco Shipping, Paul gained the knowledge base of international trade that allowed him to set up his own freight forwarding company. Mercator was soon established as the UK’s leading freight forwarder for oriental rugs and carpets. Through extensive work, contacts and knowledge, Mercator now proudly takes its place as one of the UK’s leading freight forwarder of deep sea imports and exports. Whilst we still handle oriental rugs and carpets, we also arrange shipping for a variety of cargo, including UK manufactured furniture, ambient food stuffs produced in Asia, candles manufactured in the USA, engineering components produced in the UK, UK manufactured chemicals, cars and motorhomes, to name a few. In 2006, Paul met in China with three other European-based freight forwarding company directors. They formed the exclusive freight forwarder network, MarcoPoloLine. The worldwide network brings together independent, vetted freight forwarders, providing personal contacts across the globe, local knowledge and combined experience of over 350 freight forwarding offices in over 95 countries. In 1569, Gerardus Mercator introduced his famous projection of the world map. For the first time, it was possible to show the path of a ship sailing on a fixed bearing as a straight line. His invention was so straight forward that it has been used by navigators ever since. What better company to trust with your international transport requirements than one that is named after the man who invented the straight line. Mercator’s award winning freight forwarder team has a straight forward commitment to put the customer first in the belief that a satisfied customer will be a repeat customer. Mercator is a member of the British International Freight Association (BIFA), which is the trade association for UK-based freight providers engaging in air, sea and road freight movements. As a member, Mercator is required to adopt a code of conduct and follow certain conditions of trade, protecting both our customers and our team. So you can feel safe in the knowledge that we are a legitimate freight forwarder that will handle your consignment with care. Mercator is a founding member of the international forwarding network MarcoPoloLine (MPL). Membership of MPL provides Mercator with a wealth of worldwide, personal contacts in the freight forwarding industry. Mercator is able to call on these other members to assist with certain aspects of their clients’ shipments, providing scope to offer a greater range of forwarding services; for UK imports that might mean collection from door at origin and delivery to port, and for UK exports it might mean clearance in the destination country and onward ‘to door’ delivery. All members of MPL have been vetted and application is by invitation only, so you can be safe in the knowledge that your cargo is in good hands wherever it goes. Mercator is a member of The International Federation of Freight Forwarders Associations (FIATA). FIATA is a similar organisation to BIFA, but on a much larger scale – it covers 110 associations (like BIFA) across the globe and has 50,000 freight forwarding company members. FIATA is a source of information on best practices and international regulations governing the freight forwarding and logistics industry. 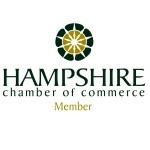 Mercator is a member of the Hampshire Chamber of Commerce. Membership with the Chamber means that Mercator are able to raise certain export documents such as Certificates of Origin, EUR1s and ATA Carnets for clients who are exporting goods from the UK.